I’ve started using Beaver Builder with a few clients after having played with it a bit and hearing lots of great reviews. I’ve looked into multiple WordPress Page Builders, and have had experience with quite a few of them through my work offering WordPress maintenance service. 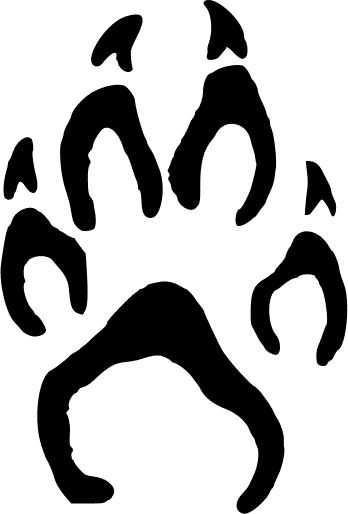 I’ve found that Beaver Builder is able to handle a lot of the customizations that my clients may want to make, but there are still a few things that I have to setup externally to get a feature that they want. As an example, a client wanted to use the callout module to make an entire box clickable, not just a button after text and images. Doing the above was fairly straightforward for this use-case: I set the entire callout link to be relatively positioned in CSS, so that I could absolutely position the anchor tag within the link to be the full height and width of that box. Finally, I added a hover and focus state to the button so that when hovering with the mouse or focusing with the keyboard there would be a visual indication that it was clickable, besides the cursor icon that was already set. That looked like a simple solution to the problem that we had, but like many bits of code, I inadvertently created a new issue. 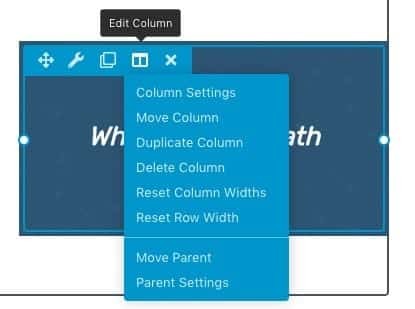 Beaver Builder is a front-end content editor, which means that it uses the same HTML and CSS structure to display the content while editing. While this is normally a good thing, it means that you need to pay attention to custom code that you’ve added to modify Beaver Builder. This is what happens when you let me touch code! After I determined that I was the cause of the issue, I set about to fix it. Thankfully, Beaver Builder adds several body classes while the page editor is open, including the class fl-builder-edit which I used to fix this particular issue. I hid the li::before pseudo-elements, and restored the link anchor to relative positioning. With that code in place, the editor layout looked as it should before I mangled it. That’s a lot better and actually usable! Check for unintended consequences of your code. This broken CSS wasn’t a major problem, and was thankfully easy to fix. But it did bring up a good reminder: when you make one change to your code, you may change something else that you didn’t mean to. It’s always good to review every time that you make a change. Having some version control in place that you use regularly doesn’t hurt either! If you’re like me, it might not always be easy to get new posts out to your blog. I’m trying to keep a new tech-tip going every regular weekday for a while to see how I keep up with that. Since my content might not always be the newest, I may want to highlight when something was recently published. In the following example, I’m going to check to see if a post was published within the past two weeks. If so, I’m going to attach a notice to the title of the post. I’m assuming that the following code is going to go into a loop of posts, or somewhere that we’re already using the correct post ID. First, on line one, we’re creating a variable in PHP called $post_title. This will hold the title of the post, which we get with the built-in WordPress function get_the_title(). Again, I’m assuming that we’re already in a loop for a specific post, but if not you can pass the ID of the post as an argument in that function. Next, line two is going to get the date that the post was published in Unix Timestamp format. I’ve put it into that format to make it easy to compare. I am grabbing the date instead of the exact time since it doesn’t really matter to me if it was exactly within two weeks down to the second, just generally two weeks by day count. The post publish date is compared to the current time minus two weeks, also in Unix Timestamp format. The PHP function strtotime() allows you to use human readable formats for time conversions, which we’re using to say “give me the time in Unix seconds for two weeks ago”. If that comparison is true and the post was published less than two weeks ago, we’re going to append the text ” — New Post!” to the post title. By using a period followed by the equals sign, we’re saying that we want to concatenate, or add the new value to the existing variable. Finally, on line five we’re echoing out the value of $post_title, meaning we’re printing it to the screen. So if I were to use the above code to display titles for this site and this post was published less than two weeks ago, the title would display as Display a Notice for New WordPress Posts — New Post! How else could this be used? One way that I use this code is for a custom post type that displays properties for sale for a client. 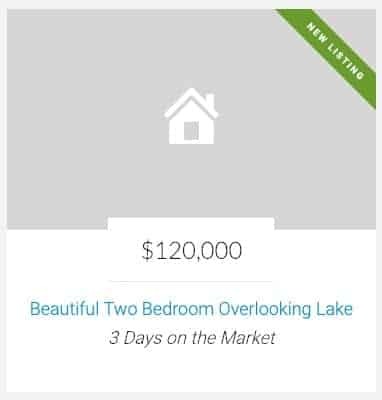 They wanted to highlight some recent listings, and using this code along with some CSS let me put a fancy ribbon on the corner of property listings, as well as list the number of days that the home has been on the market. If you have the need to calculate WordPress post publish date compared to the current date, I hope the above snippet has been a good place to start! Sometimes you’ll have a Gravity Form that you want to keep visible after it is submitted. 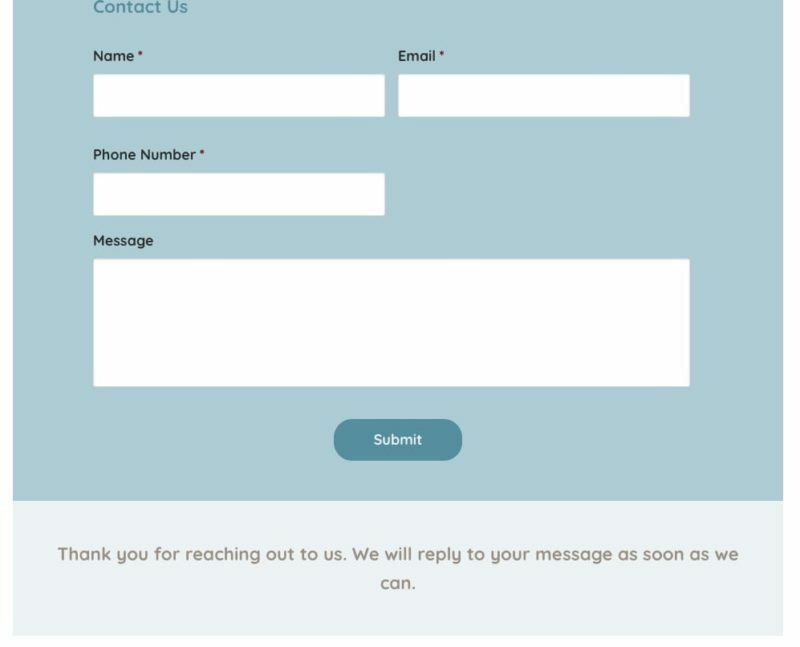 Maybe you want people to be able to fill out the same form multiple times, or maybe your design looks better with the form still showing. Gravity forms has a filter hook built in called gform_pre_submission_filter, which can be used to make changes to the form, among other things, after the form has validated (ensured that required fields are filled, nothing is blocked, etc), but before the form submits and notifications are sent. You can learn a bit more about that filter on the Gravity Forms documentation. We’re going to use this filter and create our own PHP function that will check the form before it is submit, and create a div that holds any confirmation messages that we have set. First, on line two we add our function, dw_show_confirmation_and_form, to the filter. Notice that we use the parameter $form in our function, which gives us access to details about this specific form. On line four I’m getting the shortcode that inserts the form into the page. In this case I want it to get the proper ID of the form, and I want to display the title of the form but not its description. Below that, from line six to line ten, we’re checking to see if there are any confirmations for this form. If so, we’re going to loop through each confirmation and append it to the form shortcode (so the form will display again), then put the confirmation text inside of a div that we’ve given the class .confirmation-message. That class can then be used to style the display of the confirmations. Finally, on line twelve, we return the form. Since we’ve prepended the shortcode with the ID of the form, when the form submits it will display the form again, followed by our confirmation message. The code above will make this change to all forms. If you need to target just one form, use the ID of the form and change the filter to include the form number after an underscore at the end. For instance, if we’re making this change to form three, we’ll change our filter call to 'gform_pre_submission_filter_3'. You may also want to do other things, like control whether any fields stay filled or not, update without refreshing the page, or scrolling down to the confirmation when complete, but those are lessons for another day! I have clients that want to ensure that their pages print well so that people can save things offline for later, like recipes or instructions. I don’t print webpages myself, but I can see plenty of useful reasons to do so. One of the issues when printing a webpage is that you lose context and interactivity. This is usually fine, as the site is probably intended to be read online anyway. But sometimes you want to make it easier for people to use that printed site, like still being able to find a linked page from a printed article. Let’s say that you want to link to FixUpFox, my WordPress maintenance service. You can put https://fixupfox.com as the text on your page so that it prints properly and people can visit the site from their computer later. The above works for print, whether you link it or not, but usually you’ll want to say something like “For site support I use FixUpFox, because they provide great service at an affordable price for unlimited tasks”. In that case, you’ll want to have some way to display that URL next to the linked text when printing. Thankfully, there is a media query in CSS that is for print styles. Your browser will pull up that style when viewing the print version of a site. We’re going to use that to create our links. First, we’re going to make a media query in our stylesheet. 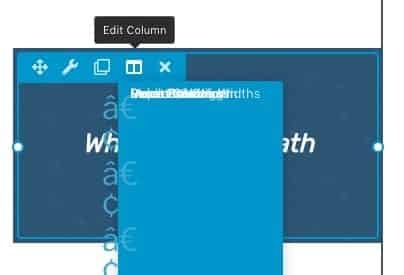 This can go at the end of your existing stylesheet, or you can place it elsewhere as long as it loads on the page that you want print styles for. Next, we’ll add an underline style for links, so they’re easier to see among text in a printed document that might be in black and white. We’ll add that style to visited links as well to override any potential visited link styling already on the page for underlines. This works with any anchor tag that has a target link, even if it’s a text link instead of the URL. So when I type Ongoing WordPress Support and Maintenance, the printed version of that link will be the text of the link underlined, a space, and the URL in parentheses. This is a saved PDF of part of this article. Note the URL in parentheses after the link text. You’ll likely find that you have lots of things displaying links that you probably don’t need, like the menu to your site, or sidebar content. One solution would be to use the print styles to hide those portions of the site entirely. After all, if I’m printing a recipe out for later, I don’t need the navigation, header, footer, or anything else to print besides the content of that recipe. Another solution would be to target links in your content specifically, such as using the .entry-content class to get links that are only in your page and post content if you’re using a theme like the Genesis Framework. Whatever method you choose is up to you, but I hope that this helps you consider the ways that you can use print stylesheets, CSS pseudo-classes, as well as CSS attribute selectors to add more context to your site, whether printed or on the web. Thanks for following along and putting up with the shameless plugs for my maintenance business!